If you've already been working or have other learning experience relevant to your chosen course then we can count this towards your entry requirements and even certain modules once you start studying. We will assess your previous learning and quantify it into credit points which can be used towards your degree. The academic credits for the following Middlesex qualifications are listed below. During your course you may have to take compulsory modules that you cannot claim against. In this case, it might be that you are only able to claim less than two thirds of your total credits. To claim academic credit you need to provide evidence of your previous learning that has been, or can be, assessed and/or formally recognised by us at Middlesex. Your evidence must be of actual learning and not experience, time spent or work. Evidence of your participation in courses, training without a recognised credit value, years of experience at work or your job title will not be accepted by themselves. You can supply evidence using higher education qualifications or certificates awarded by a university or other recognised awarding body. We will only recognise the parts of your prior qualification that can be directly applied to the learning outcomes of your new Middlesex programme. If your qualification or certificate's credit value cannot be established, you will need to provide further evidence. You can claim academic credit for learning that has been gained from experience and/or work by submitting a portfolio to us. The specific form of evidence will depend on the kind of experience and/or work that you have achieved. For example, you could provide a portfolio that includes your job description, CV, professional qualifications or certificates you have achieved, evidence of continuing professional development, and evidence of significant work projects and activities you have personally undertaken. You must supplement each item of evidence with an evaluation of how it has contributed to your learning and how it relates to the learning outcomes of your chosen degree. If you want to make a claim then a Middlesex tutor will provide initial advice and guidance as to how to construct and submit your claim. The tutor will also be able to identify where learning outcomes for specific modules are likely to be matched through the evidence of your prior learning. Your evidence of previous learning will be assessed by a tutor to make sure that you have achieved the learning outcomes in your claim. A second tutor and an external examiner will review your evidence. Then it will be formally considered at the University Accreditation Board when we will make the decision to award academic credit or not. We assess previous learning claims on a pass or fail basis. Claims are not graded and they cannot contribute to degree classifications. 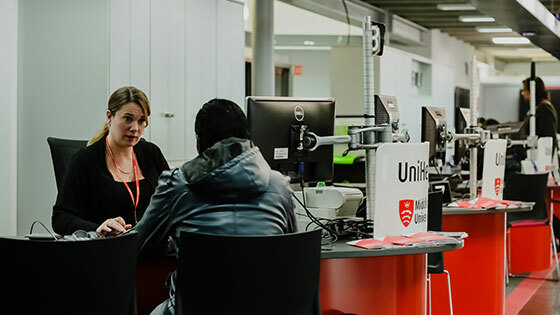 If your claim is successful it will be recorded by Middlesex University Registry and will be identified on your Diploma Supplement when you successfully complete your degree. We offer these modules to develop your skills to reflect on your previous learning and to help you produce a portfolio of evidence to support of your claim for academic credit. They are available at each higher education level, from level 4 through to 7, and in some cases can form part of your course. Review of Learning modules are subject to standard Middlesex tuition fees and a separate fee of £650 for the assessment of your previous learning evidence portfolios.